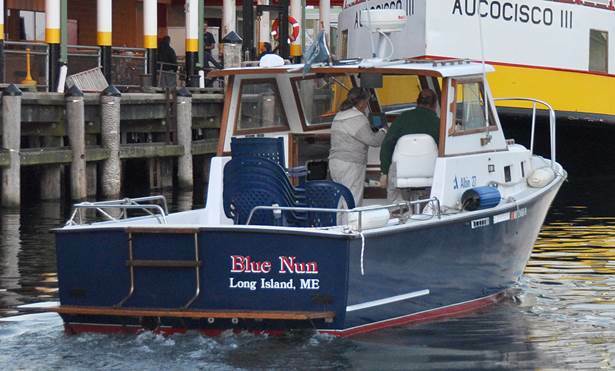 My husband, daughter, and I enjoyed a wonderful boat cruise aboard the Blue Nun motoring around Casco Bay last Tuesday evening courtesy of Steve and Chris McDuffie. They generously donated the trip as a raffle fundraiser for the Long Island Library and my husband won the prize. 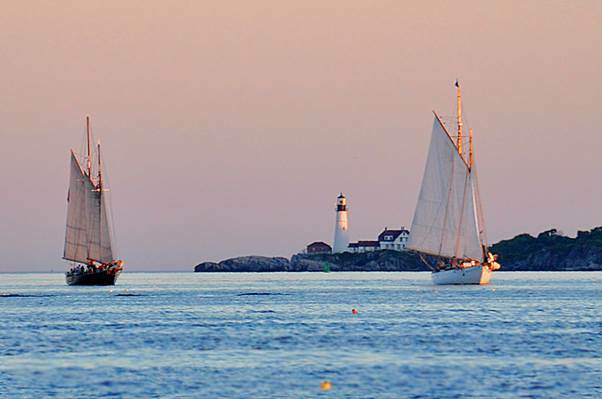 Steve asked us where we wanted to go and since we had never seen Portland Head and Two Lights from “the other side,” we decided to boat down the coast to Cape Elizabeth. The weather was perfect with a warm breeze and clear skies. Chris surprised us with some delicious snacks and my husband was able to snap several beautiful photographs of the area. As I took in the surrounding landscape and wildlife with binoculars, my daughter quizzed Chris on the local history and happenings of the islands. On the return leg of the trip, we spotted the new Nova Star ferry coming in to dock at Portland’s Ocean Gateway Pier and a friendly harbor seal poked his head up to check us out. Steve took us around the back side of Peaks Island and with one last look at Fort Gorges, we got back to Portland just in time to take in a lovely sunset. We all had a marvelous time. Thank you to the McDuffies for making a two-hour boat ride such a memorable occasion.